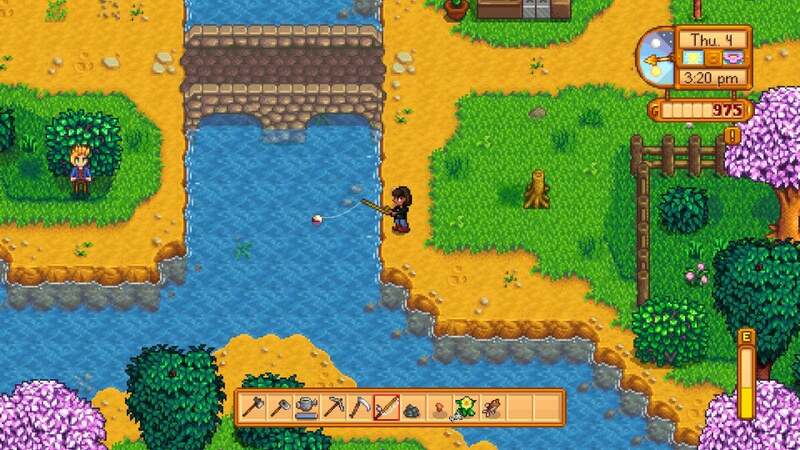 Stardew Valley comes out on the Switch tomorrow, and playing it that way is is a no-brainer. The Harvest Moon and Rune Factory games, from which Stardew Valley is inspired, have long made their home on handheld consoles. The idea of taking the charm of a rural community with you on the train, bus, or other stressful mode of public transit is very appealing. What makes the game so great on the Switch is a bit more than its portability, however. Stardew Valley has always had a few minor UI problems. On PC, everything is pretty much right except that the fishing minigame is nearly impossible with a mouse and keyboard. Using a controller, the fishing minigame is great, fun even, but you have to swing around an unwieldy cursor to do most other things. The cursor isn't entirely gone from the Switch version, but you'll never have to see it if you don't want to. The game works entirely just using the JoyCon's buttons, and it feels smooth and natural. You pick up items with A, scroll through your tools with the trigger buttons, and use tools with Y. After a minute or two of getting used to the new scheme, I felt right at home. 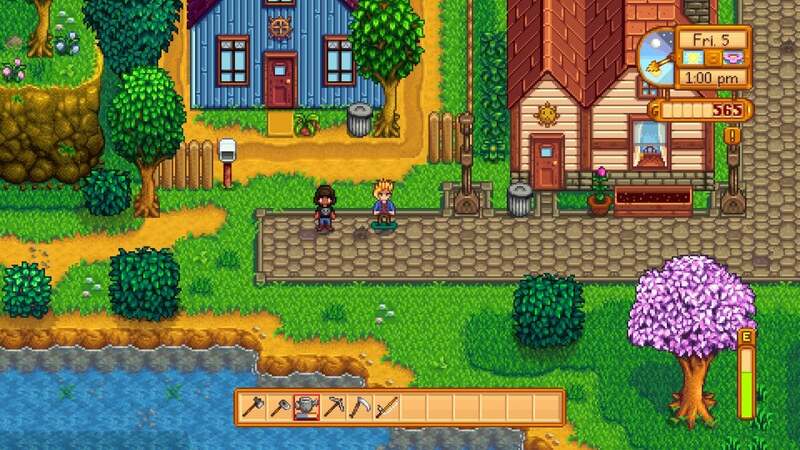 I'm excited to visit Pelican Town in the park and on a plane, but more than that, Stardew Valley's Switch port has perfected the few remaining problems with the game. It also looks great docked and on a TV. Now my only problem is who I'm going to marry this go-around. Abigail? Maru? Honestly I have no idea. Can't wait to grab my copy and install all my mods from my pc version! Nooo come back, I really enjoy your articles. Have been tempted by this but without being able to mod the game I think it'll fall flat for me. Current PC save has a visual map change, anime style villagers and the mod that makes fishing with a mouse actually possible. Trying to work out what to do after year 3 started and marrying Elliott. Call me when they figure out Multiplayer. The fish mini game? Did they change it after release? I played with mouse and keyboard and fishing was very easy, got the achievement for all the rare ones. Same, but then if the screen cap of where he is fishing is from his playtime then I can understand as he isn't even fishing in a good spot.